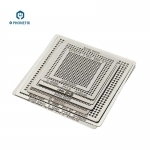 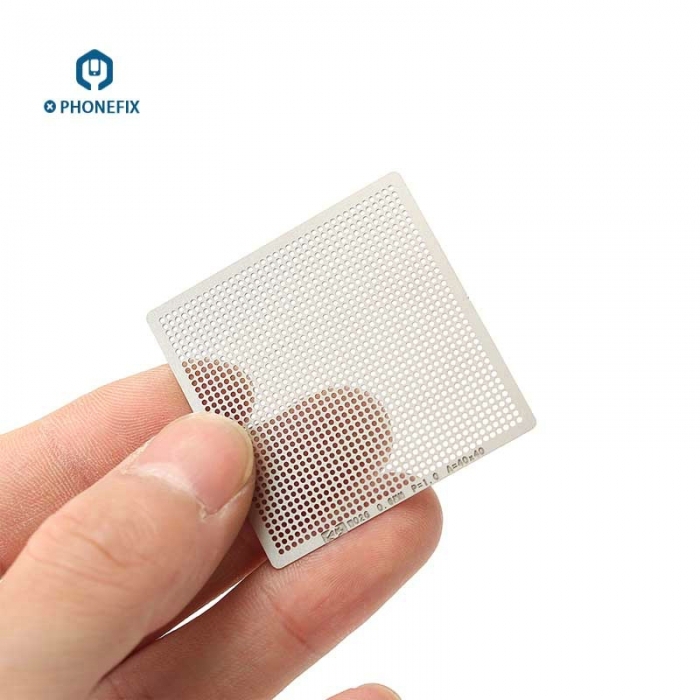 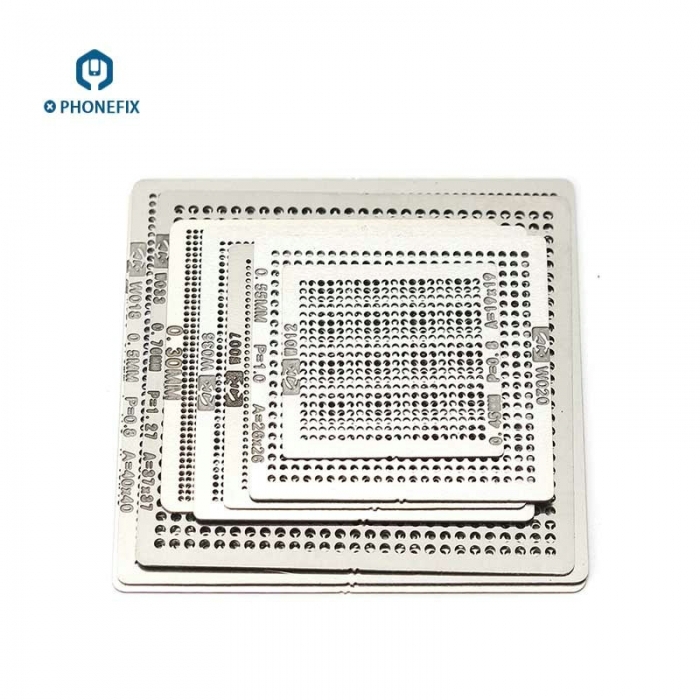 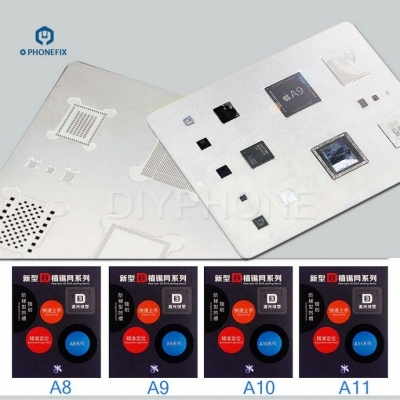 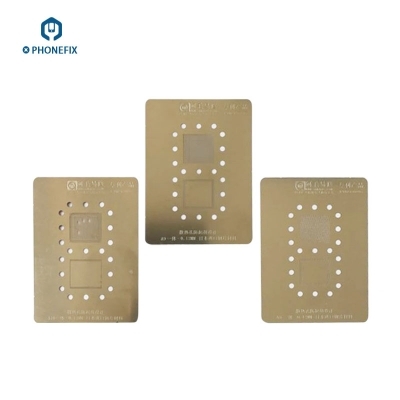 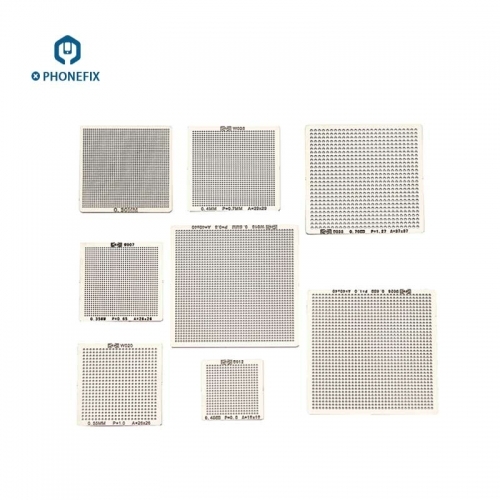 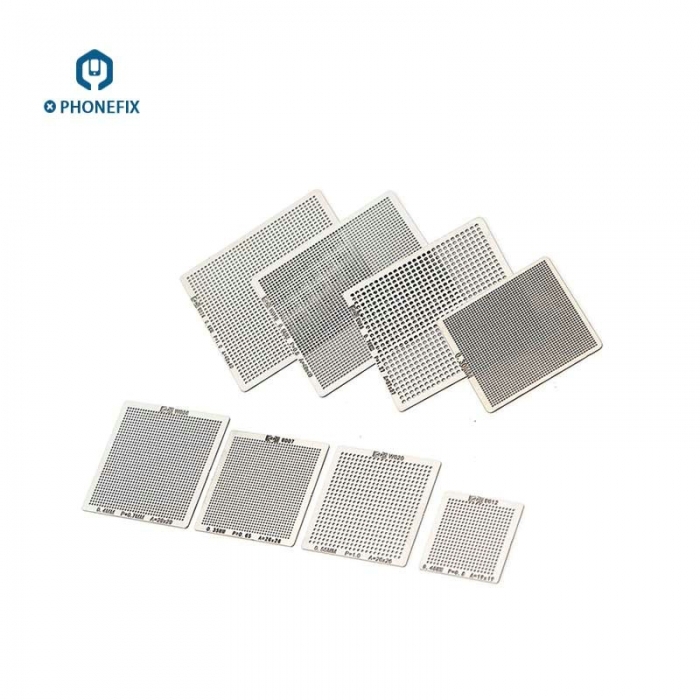 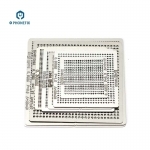 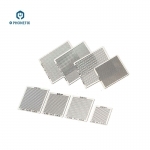 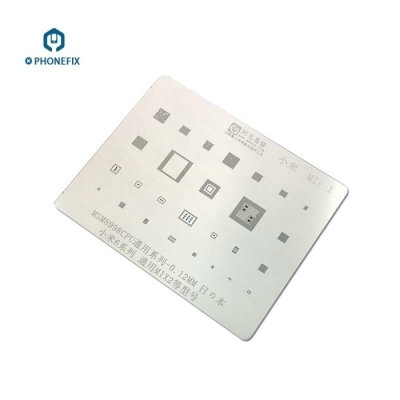 PHONEFIX 8pcs Universal BGA Reball Reballing Rework Net 0.3/0.35/0.4/0.45/0.5/0.55/0.6/0.76mm, Universal BGA Reballing Stencil Template Directly Heat, bga reballing stencil template 0.3-0.76mm for cell phone / laptop Repair Soldering Accessories. 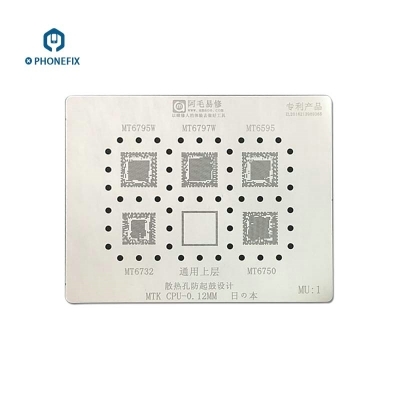 These stencils were made by high quality steel , can be heated directely by the hot air gun , it is easy and quickly for reballing the BGA IC. 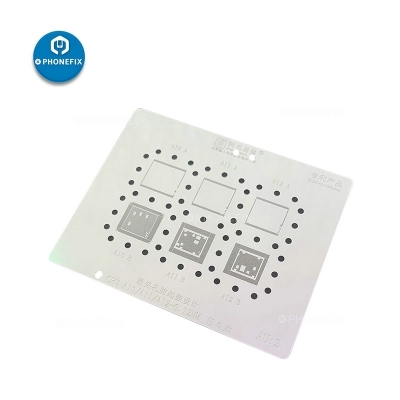 8 stencils are in different sizes, suitable for chips in different sizes. 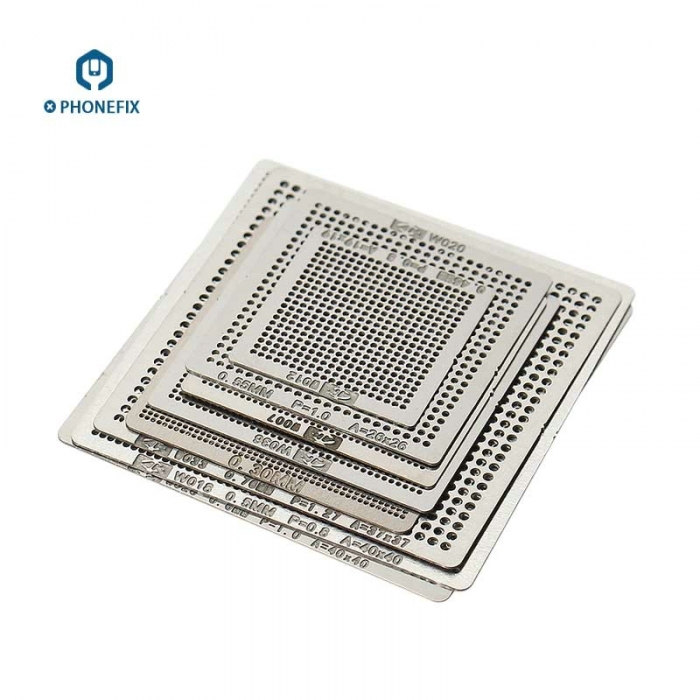 Useful and economical accessories for BGA soldering. 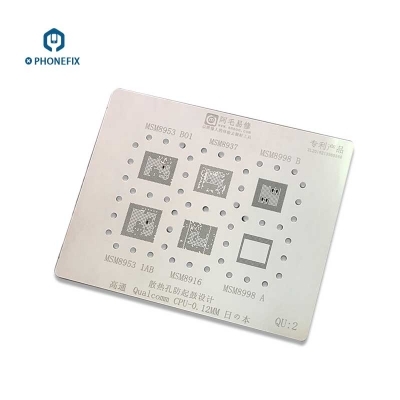 Suitable for solder balls: 0.3mm, 0.35mm, 0.4mm, 0.45mm, 0.5mm, 0.55mm, 0.6mm, 0.76mm.